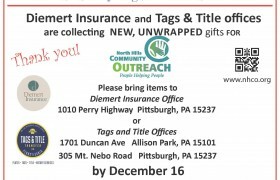 Diemert Insurance decided to partner with charities in the local areas by our offices: North Hills Community Outreach and McKeesport Salvation Army. 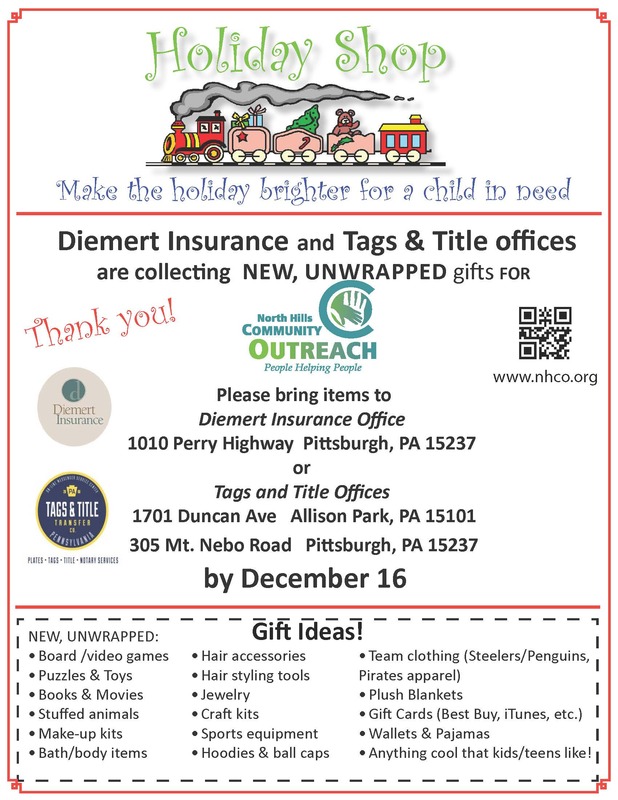 The North Hills Community Outreach is a charity organization that serves the northern Allegheny County area and serves people living in poverty, hunger or crisis. They fundraise and host charity events through the year, with the Toy Drive as a main fundraising event every holiday season. Learn more here. The McKeesport Salvation Army helps the poor, homeless and hungry in the McKeesport area. They do everything from drug and alcohol programs, to making sure families have a warm Thanksgiving meal. Learn more here. We hope you join us in participating in this great opportunity to give back to our communities! This entry was posted in General News & Updates and tagged charity, North Hills, Pittsburgh. Bookmark the permalink. ← Welcome Deanna Lutz to our Commercial Team!